Graveyards are eerie places at the best of times. 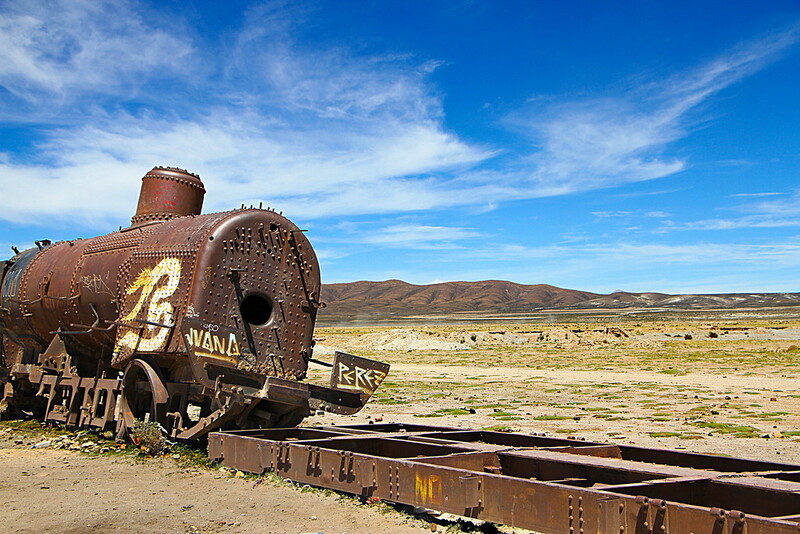 Replace the headstones and motifs with huge rusting train carriages sitting in the middle of the Salar de Uyuni, or the salt flats Bolivia, and you have what can only be described as a train graveyard! It’s a peculiar place. There is no entrance to the site, and no officials. 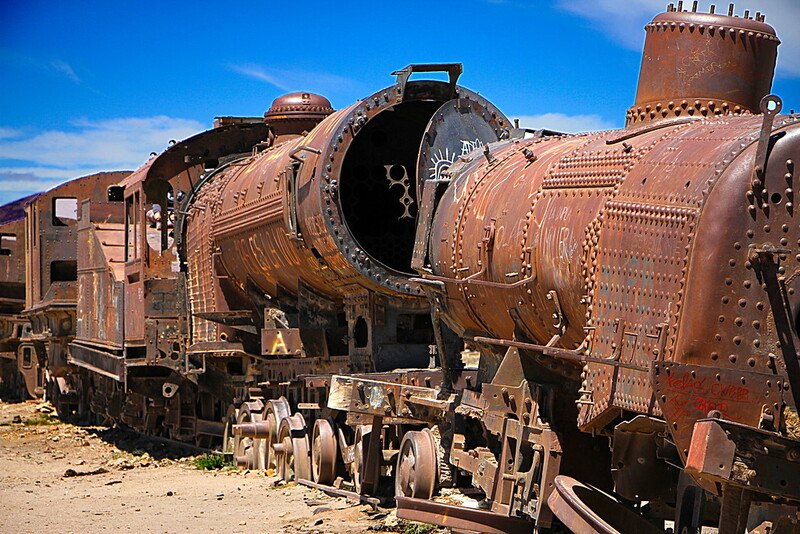 Just a set of huge, rusting, redundant Bolivian trains sitting quietly below a cloudless blue Bolivian sky. 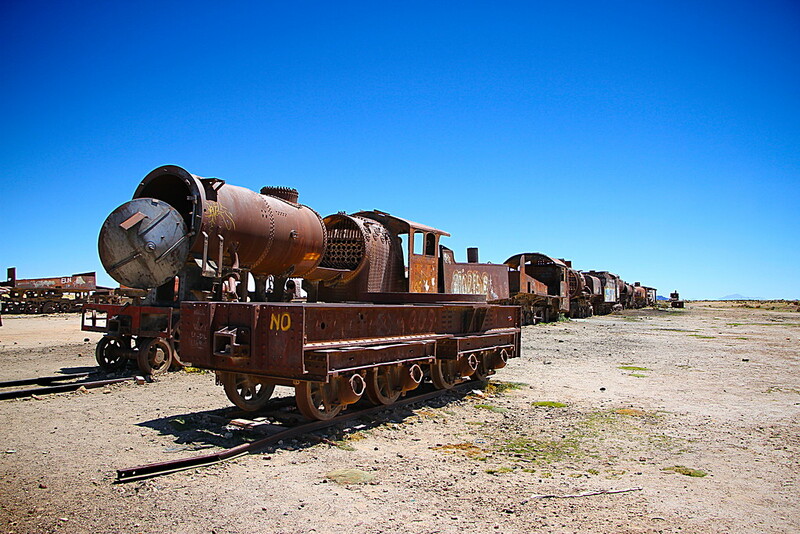 It was almost as if they had been flippantly cast aside, dragged and dumped at their final resting place, left to slowly weather and rust away as the harsh conditions of the Bolivian salt flats takes its inevitable hold on these once mighty machines. Here there are no health and safety notices, no barriers, in fact no one at all seems to be in charge of this place. 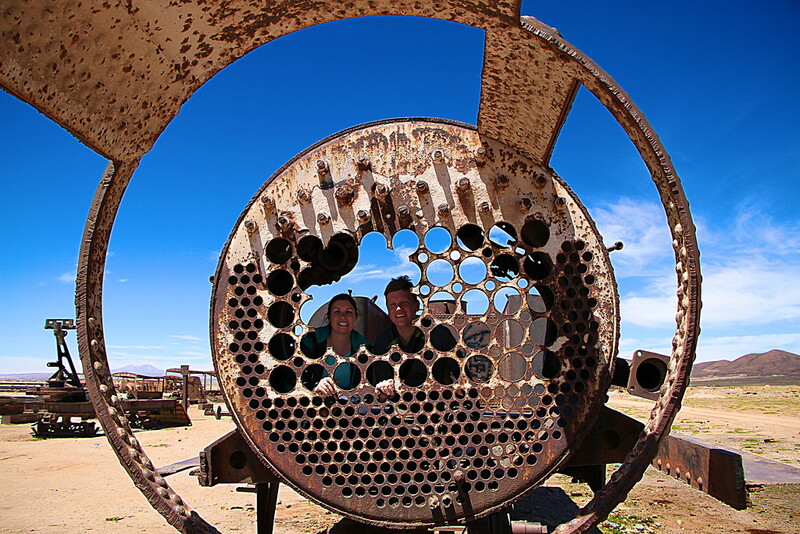 We rocked up in our jeep, jumped out and were free to wander around, between and in the rusted shells. A makeshift swing had been fashioned out of old chains and metal which children (and Laura) gladly played on. I climbed inside an old engine and sat for a while. Another couple played on a ‘train bone’ see saw. It was…strange. 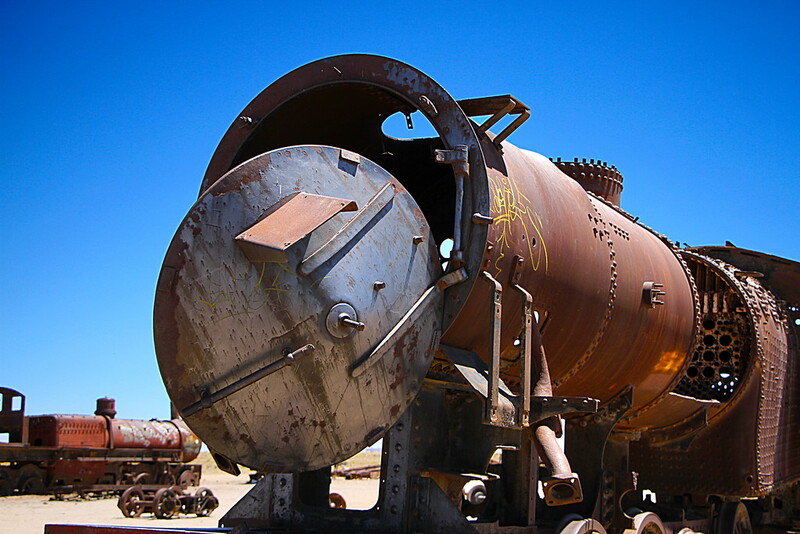 The trains themselves were incredibly impressive, bronzed relics of a previous time. They were magnificent to wander around. Admittedly, it was one of the strangest sites we’d witnessed on our travels. Surely there was a better final outcome for these machines? 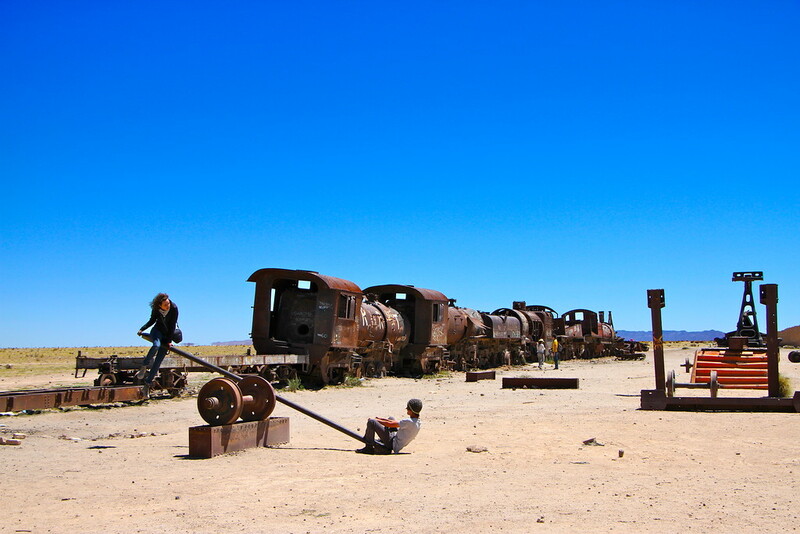 Instead, they rust and slowly erode apart as the harsh Bolivian desert takes its toll. 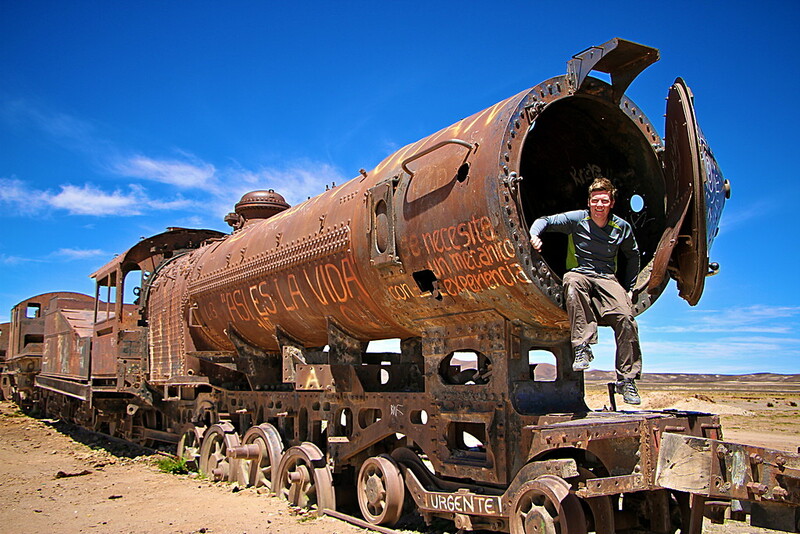 We visited the train graveyard after our jeep journey from San Pedro de Atacama to Uyuni, via the salt flats of Salar de Uyuni. We were tired, it was hot, and we did question whether all of this was real. After all, we had spent three days in the back of a jeep. Alas, reality is sometimes stranger than fiction, and we left this eerie place with a sense of awe at the machines on display, and the haphazard way they had been left to weather in the middle of the desert. We paid our respects and left. 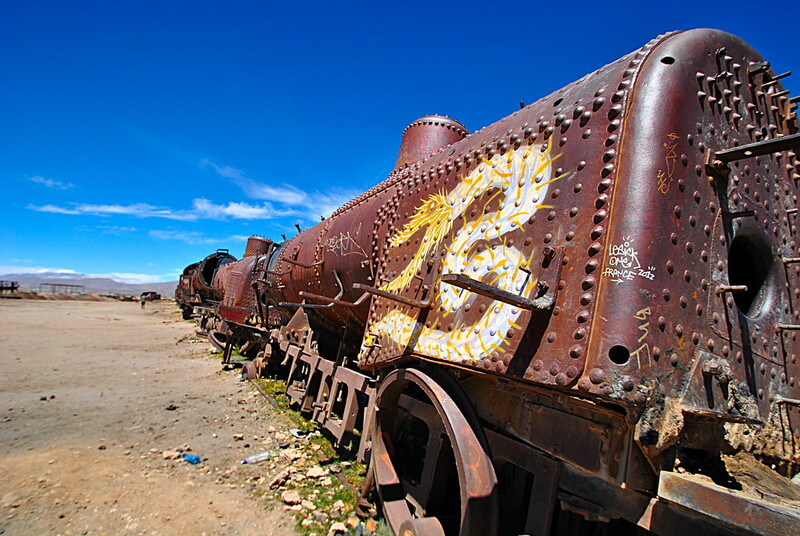 Looking for more Bolivia inspiration? Click here. Is The Inca Trail Too Popular Now?